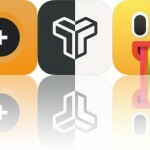 Take spherical photos, teach your child gardening and botanical words, and send ducks into battle with today’s collection of apps and games. FISHI – Fisheye Camera ($0.99 → Free, 15.2 MB): Take photos with fisheye lenses with Fishi. Photographers. Fishi provides a spherical view of the world. You’re able to choose from four different types of fisheye lenses, and you can accentuate all four lenses with a bubble eye mode. Fishi allows you to capture photos with the both back and front-facing cameras as well as record video. Videos can include various built-in background audio tracks. All captured content is directly saved to the camera roll. FISHI – Fisheye Camera is available for free for a limited time. It has a 4-star rating with a total of 5 ratings. Duck Warfare ($0.99 → Free, 813.5 MB): Send ducks into battle and reclaim what’s rightfully yours in Duck Warfare. Fans of defense games. These ducks mean business. The GÜSCO corporation is trying to force you out of your home, but the ducks aren’t going to stand for it. Tap to send your duck troops into battle. As your enemies fall, you’ll be able to collect duck bucks that can be used to purchase new, more powerful troops. The game includes five areas, 25 levels, 40 enemies, and 24 ducks to unlock. There’s also a Quacky Duck mini-game to enjoy in between the strategic action. Duck Warfare is available for free for a limited time. It has a 4.5-star rating with a total of 30 ratings. Moona Veggies: Toddler Kids Learning Puzzle Games ($2.99 → Free, 206.5 MB): Teach your child new gardening, botanical, and vegetable words with Moona Veggies. Parents and teachers. Moona Veggies will help develop a positive attitude towards learning through its series of mini-games. It includes five game types in all, requiring your child to complete images, collect letters, solve puzzles, memorize cards, and match objects. Moona Veggies includes more than 30 levels, 40 words, professional narration, and support for eight languages. 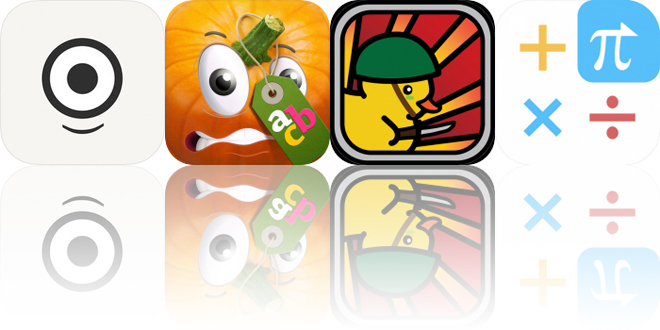 Moona Veggies: Toddler Kids Learning Puzzle Games is available for free for a limited time. It has a 5-star rating with a total of 9 ratings. CALC Swift ($1.99 → Free, 15.6 MB): Crunch numbers faster than ever before with CALC Swift. Students, teachers, and anyone else in need of a powerful calculator. 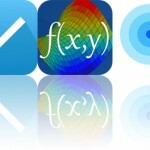 CALC Swift is available for free for a limited time. It has a 4.5-star rating with a total of 71 ratings.